Back in April 2007, when the first edition of this magazine was published, Carvoeiro was buzzing. After the slump that followed, it’s only recently that the “Village” (see overleaf) has regained its upbeat vibe. By 2010 many businesses had closed down, but this magazine carried on through the lean times. Inside Carvoeiro was launched with the aim of creating a local magazine that would appeal to English-speaking residents and tourists alike. We are part of Lagoa-based Open Media, the Algarve’s main publishing group, which produces numerous magazines and newspapers. Most of the team either lives in or around Carvoeiro, so it seemed logical to create a local publication on our own doorstep, written and produced by members of the local community. We toyed with the idea of publishing monthly or bimonthly, but decided that four editions per year would better suit the advertising budgets of local businesses. It would also allow us to pick and choose the best editorial content over the course of a year to fill four magazines with interesting articles. 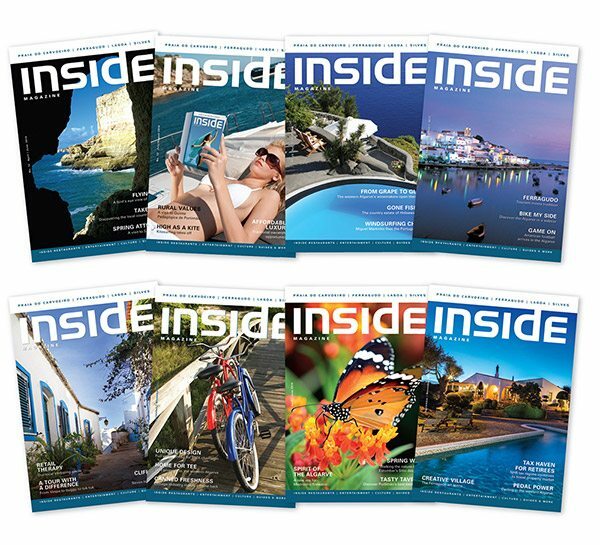 Later that year we launched another edition of Inside Magazine, this time in Lagos and covering western Algarve where some of our team also live, enabling us to replicate the same concept. Today our print edition is complemented by our website inside-carvoeiro.com and a busy Facebook pages. From all of us here at Open Media and Inside Magazine a big thank you to all who have supported us over the last 10 years. We look forward to the next 10 years: Obrigado Carvoeiro!